Published by Usborne in July 2015. 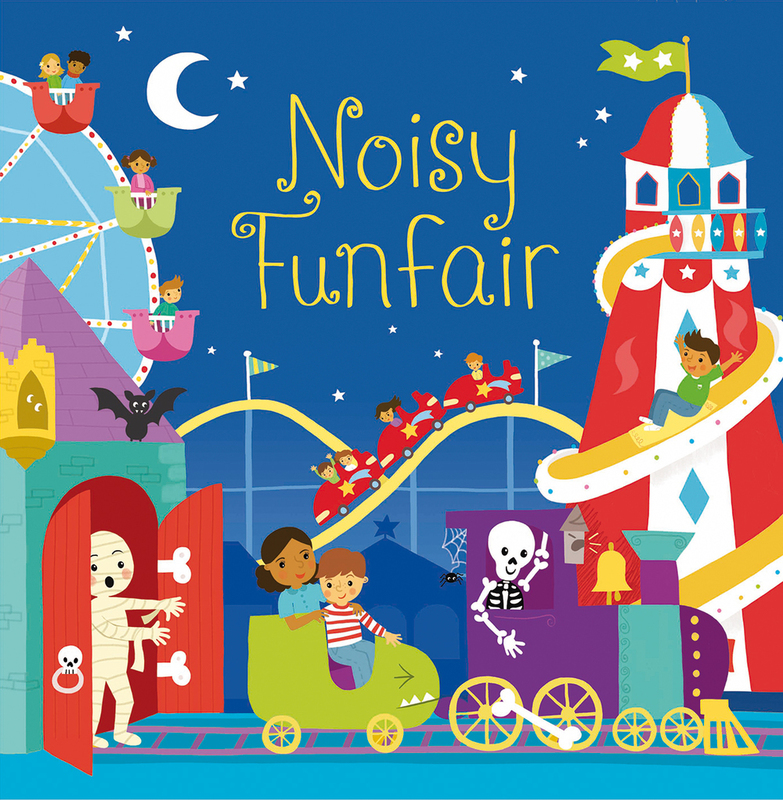 All of the fun of the fair can be found within the pages of this lively noisy book. Colourful illustrations are accompanied by buttons which children can press to hear the joyful music of the carousel, the screams of those riding the Ghost Train, and the bangs of the fireworks at the end of the night, accompanied by ooohs and ahhhs from the crowd. I've included a rough in here just to show the process (I always find it interesting to see people's working out! ).